The Taiwanese smart phone manufacturer HTC introduces two new flagship phones, HTC One M9+ and Butterfly 3. These phones are going to be available soon in domestic as well as international markets. The new device called HTC One M9+, is almost identical to the One M9+ smart phone. However, the smart phone would feature more upgrades especially in the camera section. On the other hand, Butterfly 3 is company’s most ambitious project which is a high end device with a polycarbonate body with many other great camera features to its credit. The specifications of both the devices are impressive enough for international communities. Both the devices are aiming to reach to the global customers. These awesome handsets will be initially available in Taiwan from October. The HTC Butterfly 3 includes a 5.2-inch QHD IPS LCD3 display with a 2560x1440 pixels resolution while HTC One M9+ features the same 5.2-inch Quad-HD 1440x2560 pixels display. HTC Butterfly 3 powered by a 64-bit Octacore Qualcomm Snapdragon 810 processor coupled with 3GB of RAM and 32GB of internal memory which is further expandable while HTC One M9 has an inbuilt storage of 32GB which is expandable by a MicroSD card up to 128GB and features 2.2GHz Octacore MediaTek MT6795T Helio X10 processor coupled with 3GB of RAM. HTC One M9+ sports a fingerprint sensor and is backed by a 2,840mAh battery power which surely a desirable feature lately. This is going to be a great specification for a high end smart phone which will be aiming at international customers. 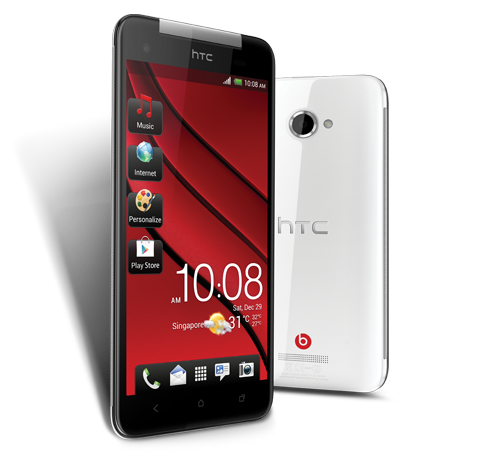 HTC Butterfly 3 comes with great camera specification. The front camera has a 20-megapixel DuoCamera which is really huge and great for those love taking pictures in their camera phone. Its low light shooting capabilities are truly amazing as the phone includes a dual-LED flash for shooting in dimmed light situations. It also ensures physical sturdiness with the impress sapphire glass protection. If this is the specification HTC Butterfly, HTC one M9+ is not any less. It comes with a mammoth 21 MP rear camera with laser autofocus and dual LED and dual tone flash. HTC Butterfly 3 support 4G LTE connectivity which is going to ensure seamless networking and has Android Lollipop pre-installed with the company’s Sense UI which is going to providing great user experience. HTC One M9+ is backed by 2840mAh non removable battery and has many other powerful features to attract the mobile lovers worldwide. The smart phone will be available in Gun metal grey and silver gold color variants; however, prices for both the phones are not yet confirmed. They are surely high end phones with highly attractive design and cool look. The customers who love to have phones with trendy designs would certainly want to own a phone of that class. What makes it seriously interesting is that they can be worth of customer’s money!